My initial thoughts for this challenge were of using contrasting colours in a positive/negative effect. After much deliberation, I refined this idea to use a bright colour in contrast to a mainly black background. I then decided on a simple motif, in the honesty pods, which would be represented in the opposite colour to the background they were on. I used a densely discharged and overprinted black fabric in contrast to the fairly plain orange/yellow fabric to further emphasise the contrast. The black honest pods are made from tulle netting, but I found that orange tulle was not sufficiently visible against the black background, so I constructed these from Bondaweb painted with diluted acrylic then covered with a fine orange chiffon. 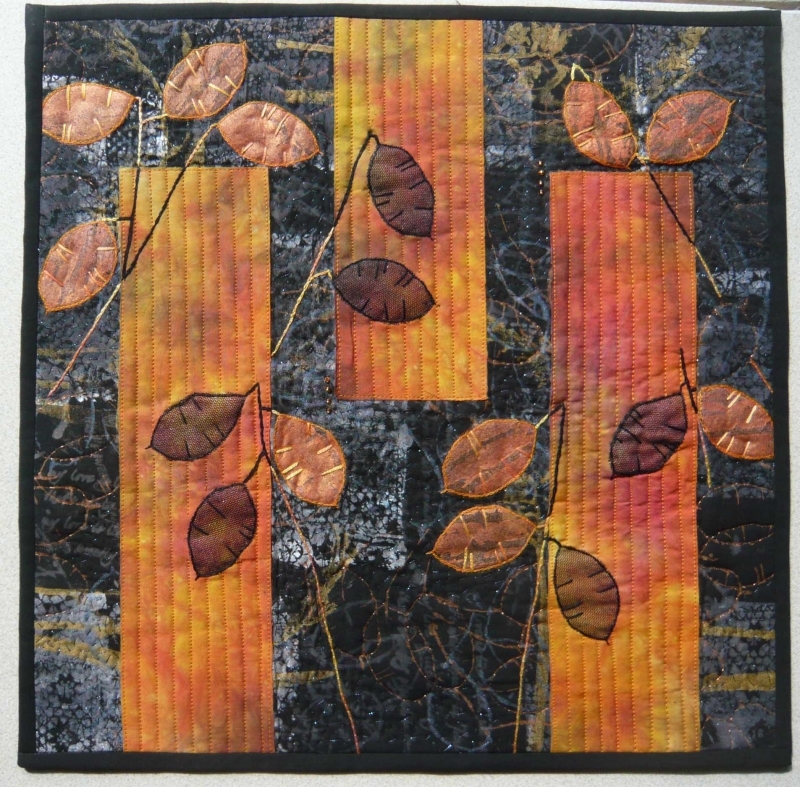 I continued to use the contrast theme in the quilting, by using straight line machine quilting in the orange sections, as opposed to random hand stitched seeding on the black background. 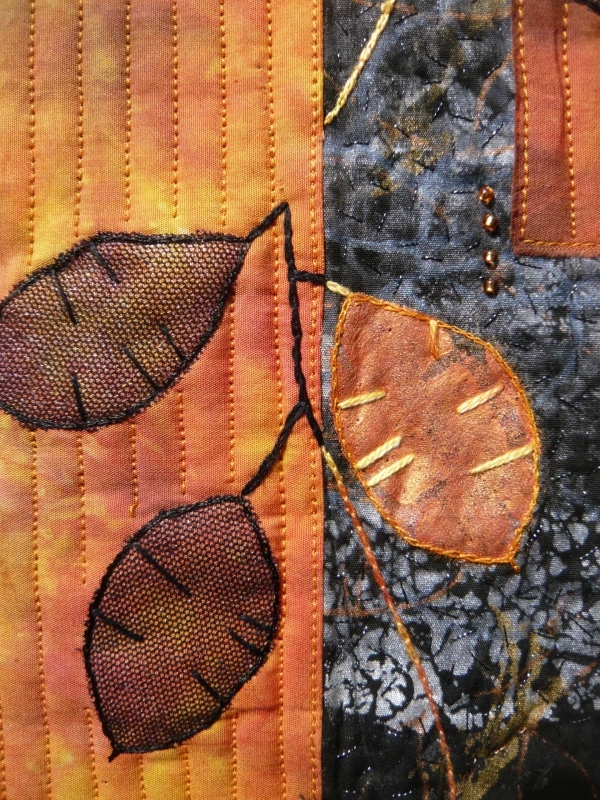 The stalks of the plants were chain stitched by hand, in the opposite colours to their backgrounds. I hope that by keeping the design simple, the effect of the contrast is the main element of the finished piece. I love the more subtle contrasts you have achieved in this piece, Joan. It reminds me of vases…or candles…glowing against the textural background.